Discovering the pleasure of a romantic gateaway for a special occasion. Late check-out within 1 p.m.
Reserve now to discover our discounted rate. Dicover our best room the "Executive Suite Fanny" enriched by its fabulous dedicated SPA with Finnish sauna, emotional shower and hammam. OFFERS: Are valid (according to availability) each day of the week. 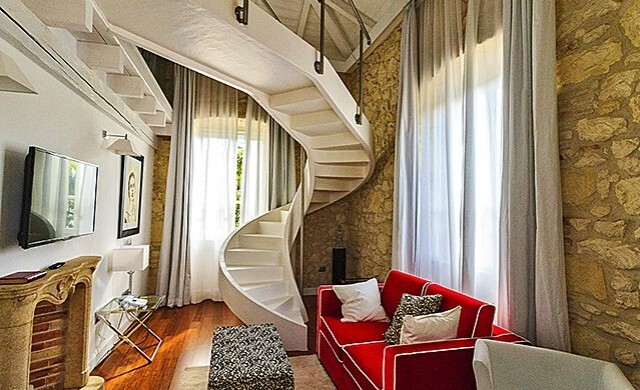 Suite Ercole: Offer valid for a maximum of 2 adults + 1 child, with extra bed included. Fanny Executive Suite: Offer valid for a maximum of 2 adults + 1 child, with extra bed included. Credit card needed to guarantee reservation, payment is made at the hotel. For cancellation received up to 3 days before the arrival date, no penality is applied.